This slightly Modified take on an all time classic makes this '52 MOD Journeyman a very comfortable, usable and versatile guitar. 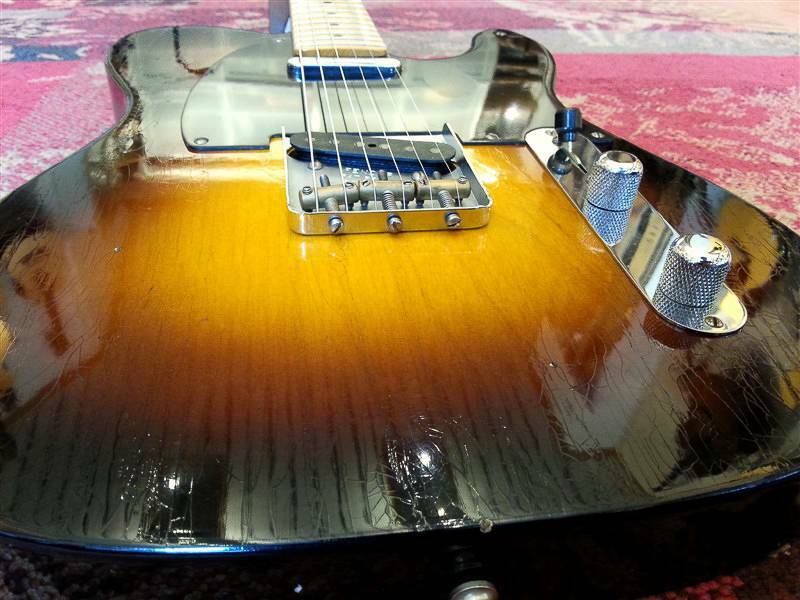 While still off course combined with all the skill & craftmanship the Fender Custom Shop has, this is another beautifull Custom Shop Tele. 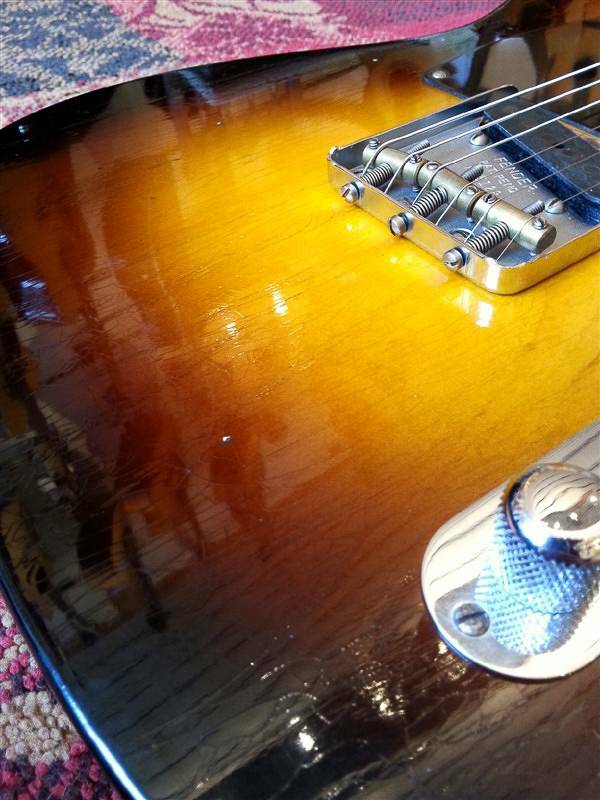 The Faded 2-Tone Sunburst has a specifically nice 'glow' to it, and as you can see on the pictures the guitar just wants tot stand out. 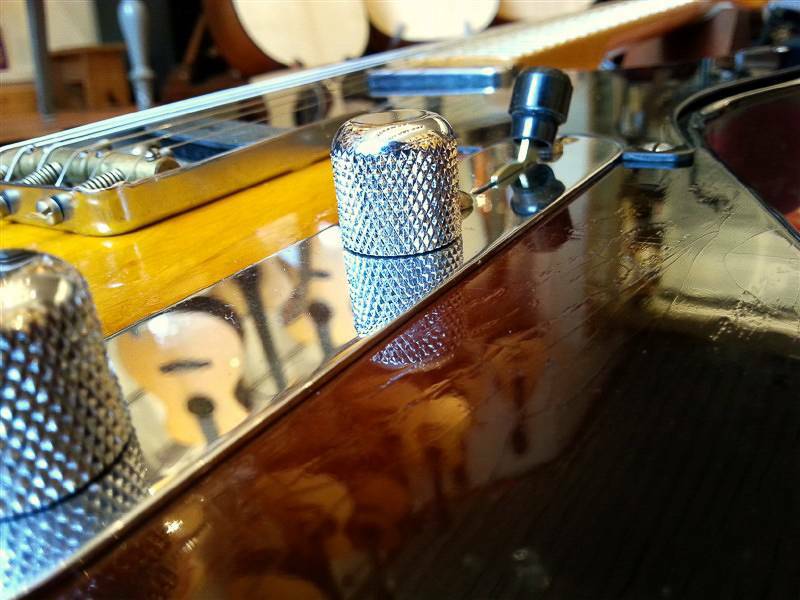 This being a Journeyman Finish, the Relicing is done very very softly and just enough for you to get that 'played in'-feel the instant you pick it up and start playing. 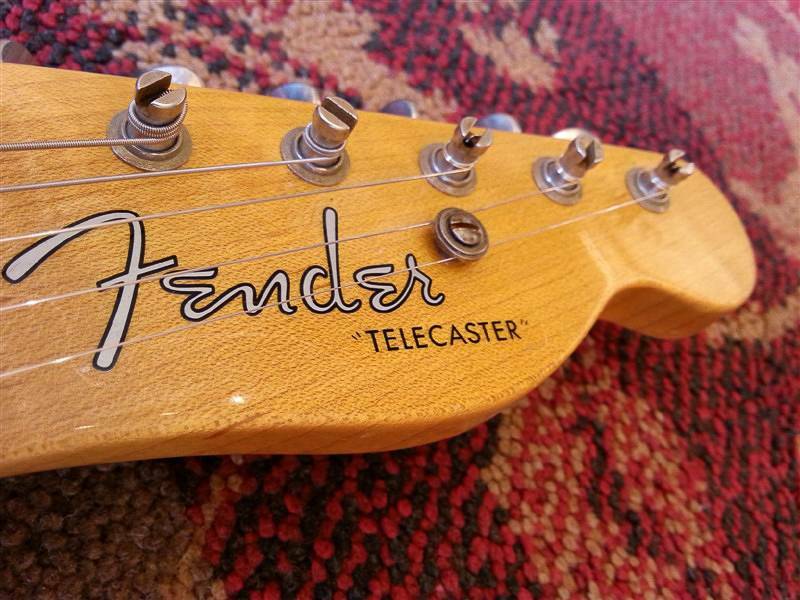 This '52 Tele does indeed has some inetesting Modern features. 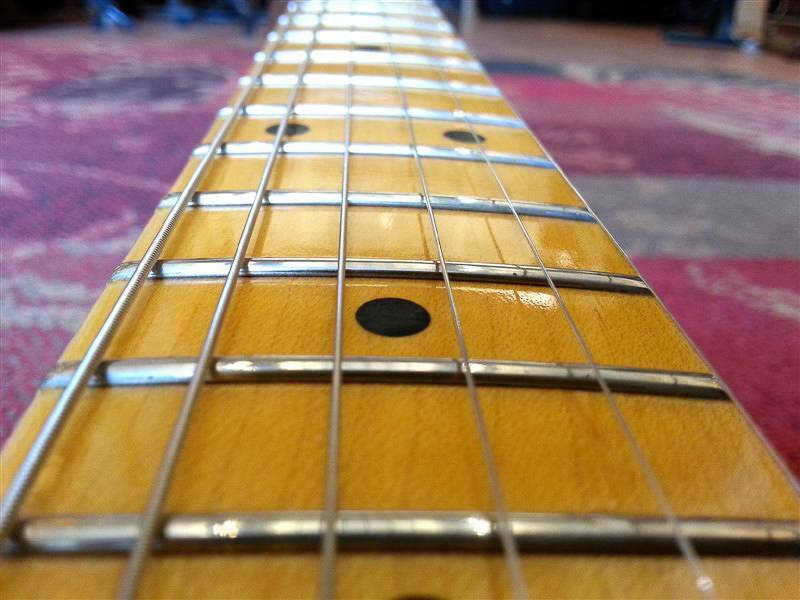 The Fretboard has a Compound Radius and feels just as accessible all over the fretboard. 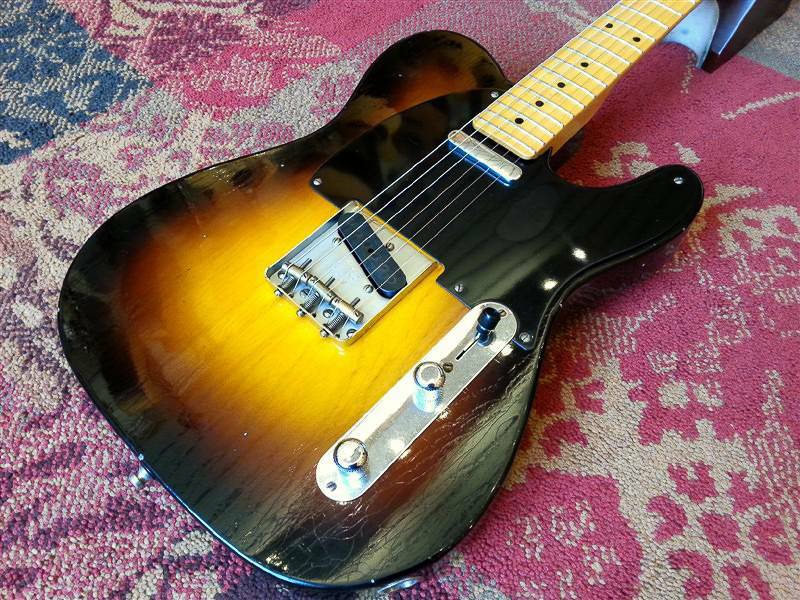 The neck has a Large "C" shape that we have come to know on most '52 style Tele's, but it's still far off from the widely known (and very chunky :) "Baseball bat".